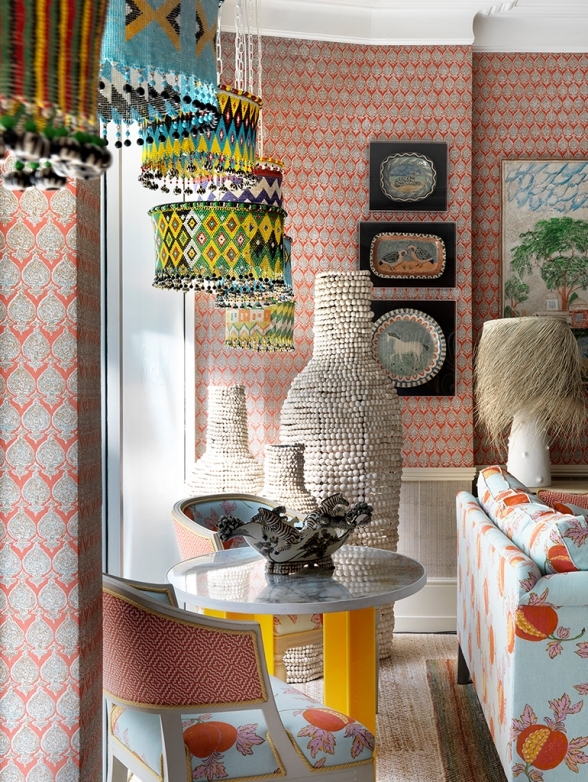 Inspired by time spent in her home in Barbados, Kit Kemp has created a pop-up ‘Caribbean Suite’ in Turnell & Gigon’s Chelsea Harbour showroom. Working exclusively with fabrics stocked by Turnell & Gigon, the room set incorporates an open plan sitting room and bedroom area, along with an adjoining dressing room. 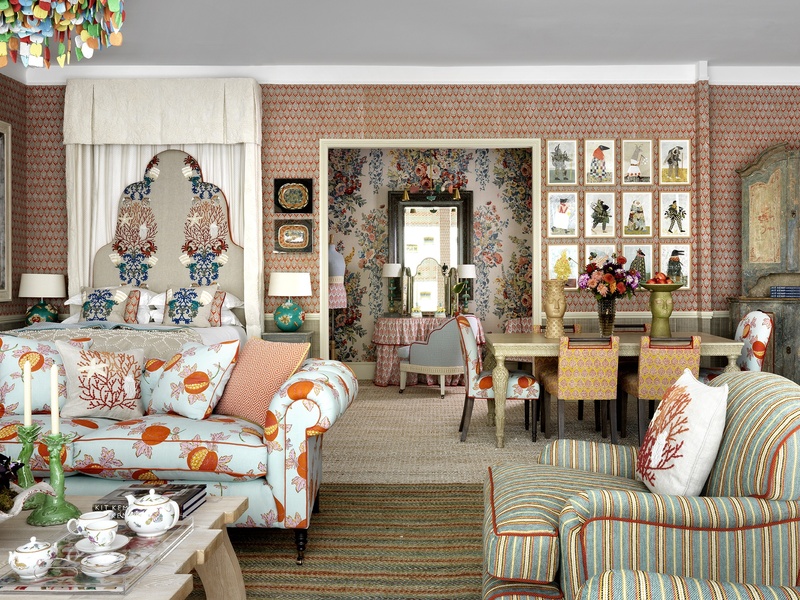 The sitting room walls are lined with a fabric by Raoul, which Kit has coloured specifically for the scheme, to give a new freshness to the design. 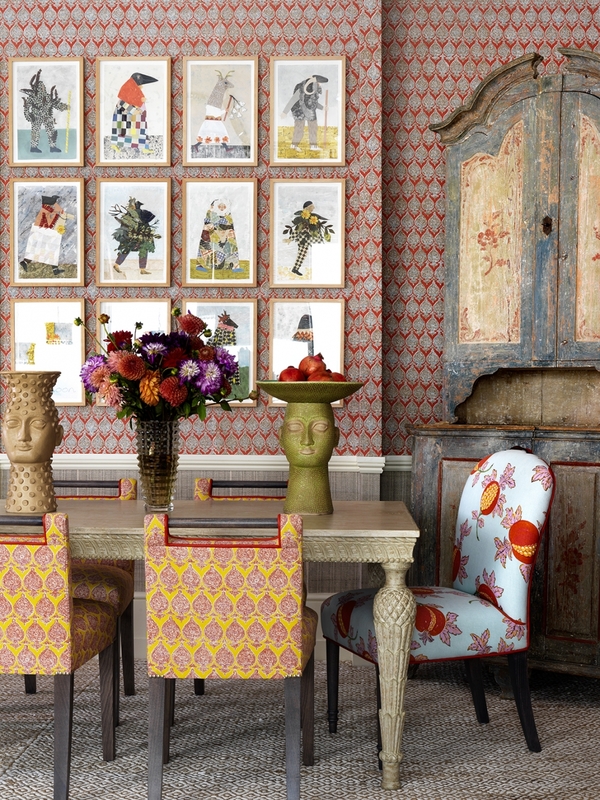 Offset against this backdrop are a selection of upholstered sofas, chairs and tables, many of which are Kit’s designs, and can be purchased through Shop Firmdale. Working with unusual colour and fabric combinations, upholstered pieces feature wonderfully quirky design details – armchairs are edged with felt, using pinking shears, and brightly coloured leathers can be spotted on side chairs. A bed set has been also designed for the space, featuring an over-scaled headboard, dressed with a linen tester, to give a fresh sense of playfulness to the scheme. 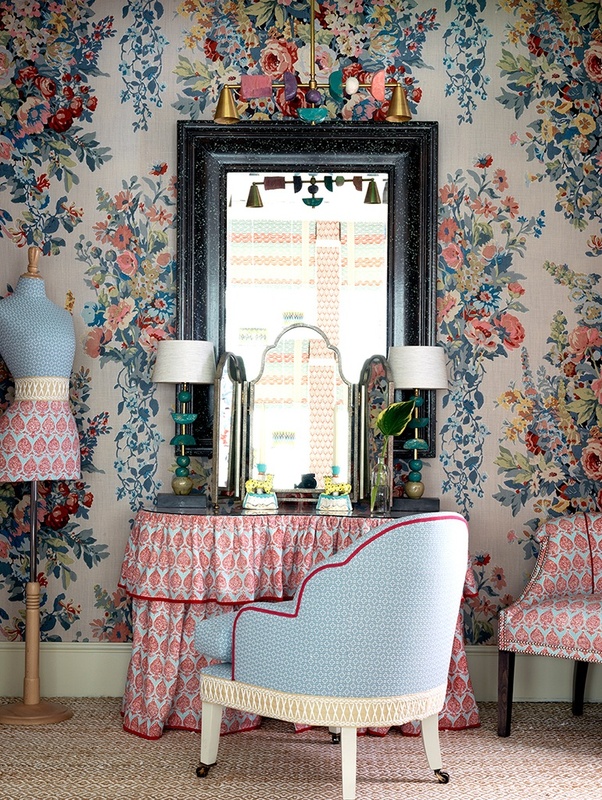 This leads though to the dressing room, where walls have been covered in a large scale Jean Monro floral linen, incorporating a traditional dressing table; a nostalgic reminder of romantic dressing rooms, which often do not make their way into houses today. Drawing creative inspiration from the colours and mood of the Caribbean, Kit has taken the opportunity to feature work from a wide range of artisans and craftsmen, including the commission of a bespoke chandelier made from an array of coloured tiles, which hangs impressively over the seating area. 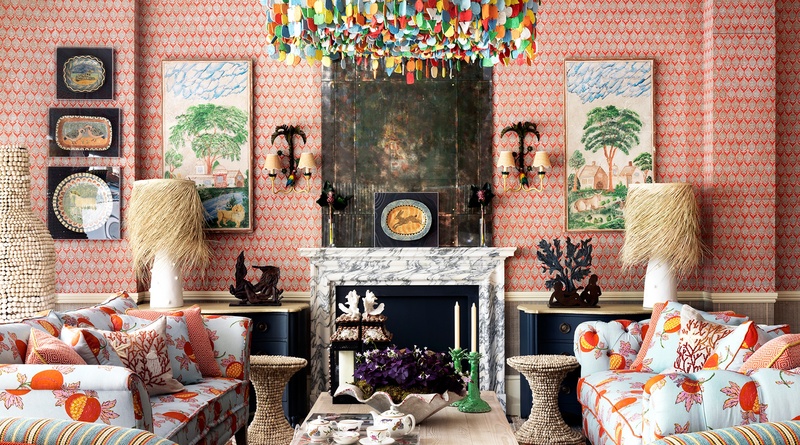 A uniquely coloured pendant has also been designed by Margit Wittig, along with an eclectic mix of pieces from Chelsea Textiles, Richard Taylor Designs and Rock the Kasbar. We use Google Analytics to anonymously track site usage and performance. We use Site Improve to give us insight into visitor behaviour.